Welcome to the beautiful Paros Island. The "APOLLON" rooms are located in the beautiful fishing village of ALiKi on the south west side, 12 km from the port of Parikia and only 4 minutes drive from the Paros Airport. 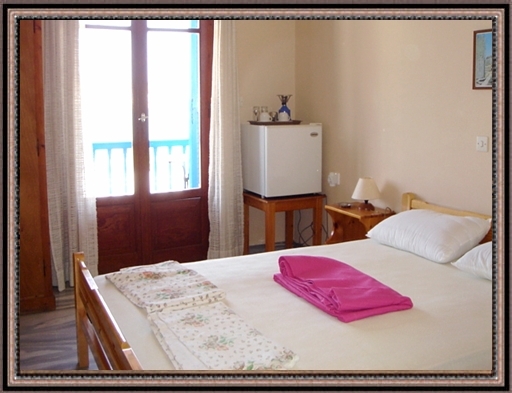 Our rooms "APOLLON" are located in the center of the village and overlook the main beach of Aliki and all have sea views. 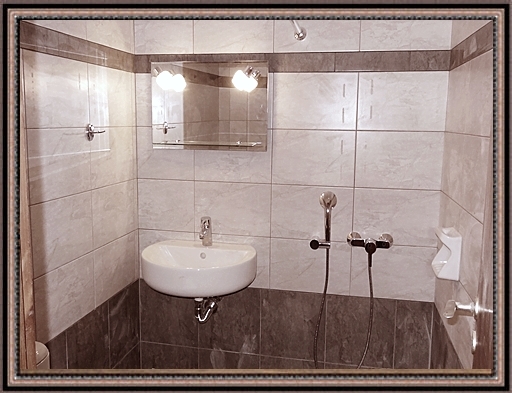 All our rooms are included with air conditioning, refrigerator, TV, private bathroom & toilet, free wireless Internet, private parking and have the possibility to accommodate two people and all have private balconies. This family run business together with the Melinos Cafe store with breakfast, coffee, creperie and food serve to provide you with the lovely Greek holidays.